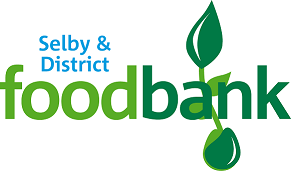 Selby and District Foodbank provides emergency food and support to people experiencing food shortage in our local area. We are run by passionate volunteers who care about the people in our community and stamping out food poverty. Selby and District Foodbank is part of the Trussell Trust. Please feel free to email or call us if you need food or wish to volunteer. You can obtain a food voucher for a family, single or homeless person which consists of food for 3 days by obtaining a food voucher from one of our partners below.